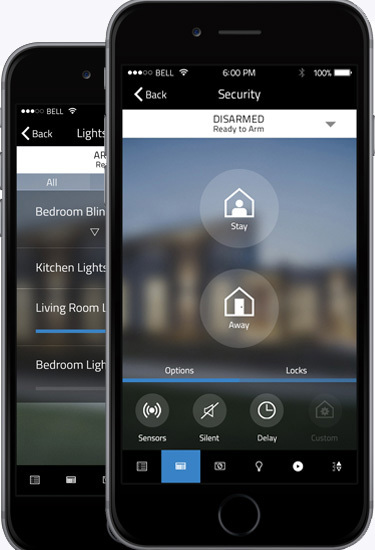 The Think Protection app lets you control your alarm system from anywhere using your smartphone or tablet. With our Home Automation upgrade, the mobile app can control your lights, thermostat, plugs & more. 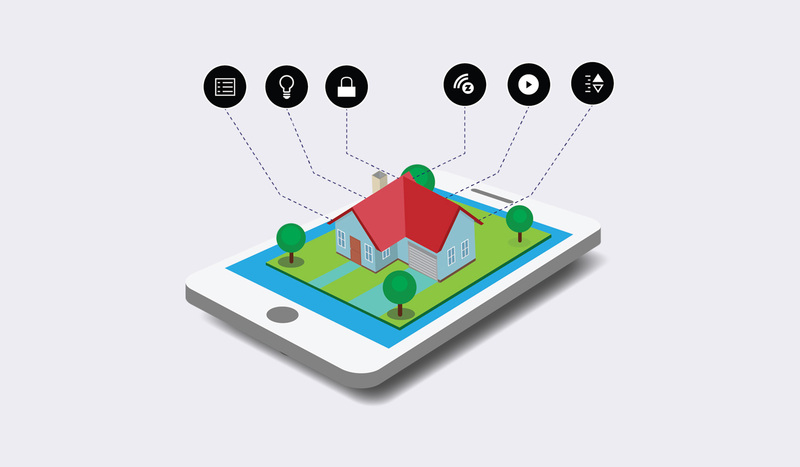 Home Automation at its core is simply a term used to describe a network of devices that are connected and controlled remotely. Devices and systems such as appliances, outlets & plugs, heating & cooling systems & lights can be automatically scheduled and controlled by your smartphone. 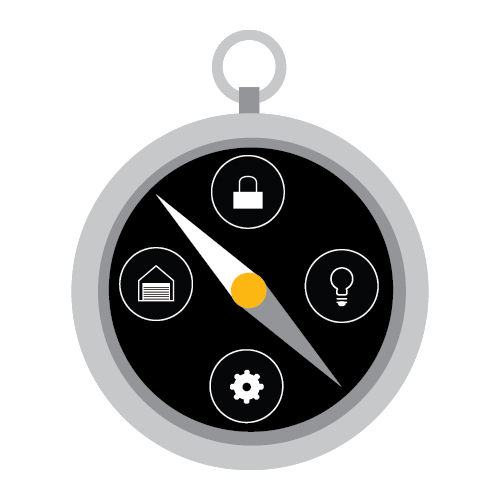 Time-related commands are the most common and useful application of Home Automation. Have your lights automatically turn on in the evening and turn off when you go to bed. Do I need to purchase an additional hub or product? No. 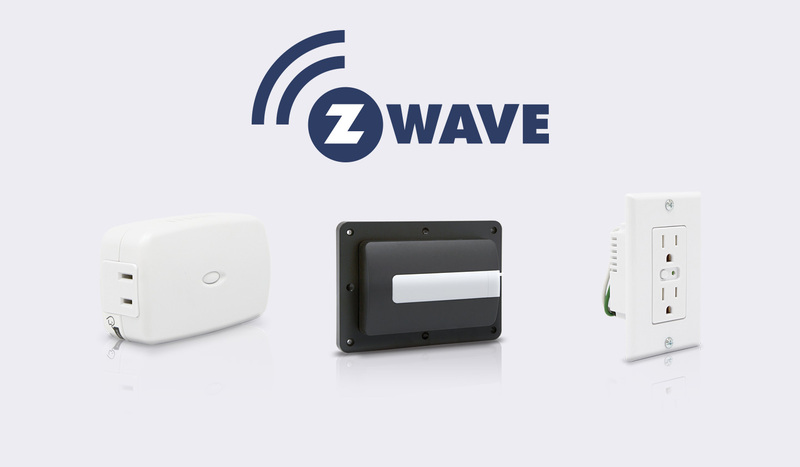 With the Home Automation upgrade, the base unit of your system can connect to any Z-Wave compatible smart devices. There is no need to purchase any other hub. The first step would be to either purchase one of our alarm systems with the home automation upgrade OR if you are already an existing customer and want to upgrade give us a call. Once your system/upgrade has been set up we will walk you through connecting your new smart home devices the Think Protection mobile app. Getting into the world of home automation can be a little overwhelming at first. We recommend you start small and build your connected home a couple items at a time. Once you start to see the value of smart home products you will begin to understand the possibilities it offers. Smart plugs & outlets are a great first purchase in the smart home market. Simple yet they allow for so many different quality of life improvements. Plug a table/floor lamp into them and set a timer so they turn on in the evening automatically and shut off when you go to bed. Have complete control of the kid’s games consoles and TV’s. Save energy and money by keeping a close eye on your power consumption. The possibilities are endless! Our home automation upgrade enhances your alarm system allowing it to communicate with any of our Z-wave compatible devices. 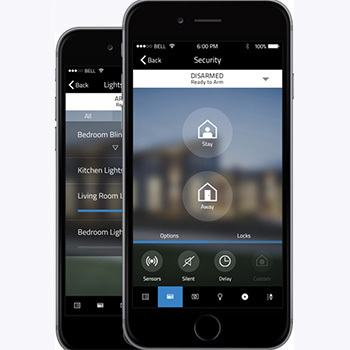 Control your lights, outlets, thermostat and more right from the Think Protection mobile app. Automatically turn your lights on when it gets dark out. Cool down the house at work when an unexpected heat wave hits. Lock your doors when you arm your alarm system. Our mobile app puts you in command. Configure your lights to turn off/on at specific times during the day. Create specific moods with different color hues. Ensure your home is cool on hot days and toasty on cold ones. Set up a predefined plan or change it on the fly from work. With smart plugs, lights, and thermostats you’ll be able to save on energy big time. Never waste energy again! Switch the lights & TV on just as you get in the driveway. Make your house feel alive when on vacation to deter burglars. Busy morning? Never forget to switch off lights & devices again. With the tap of a button, you can shut them off remotely. Automatically lock the doors when you leave for work. Assign a code so the dog walker can only unlock the door in the afternoon. Let’s start building your connected smart home today.